3,196 stock photos, vectors, and illustrations are available royalty-free. 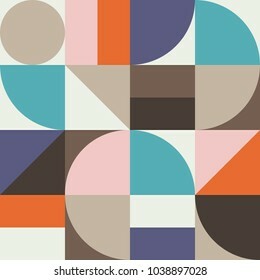 Geometry minimalistic artwork poster with simple shapes and figures. 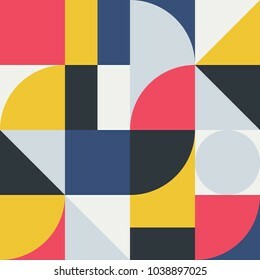 Abstract vector pattern design in Scandinavian style for branding, web banner, business, fashion, prints on fabric, wallpaper. 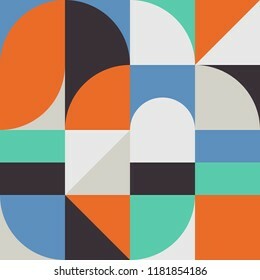 Geometry minimalistic artwork poster with simple shapes and figures. 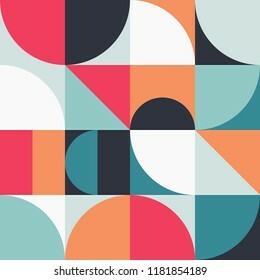 Abstract vector pattern design in Scandinavian style for branding, web banner, business presentation, prints on fabric, wallpaper. 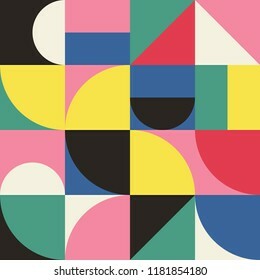 Abstract geometry pattern poster artwork with simple shapes and minimalistic figures. Swiss design graphics in Scandinavian style for branding, art presentation, fashion, prints on fabric, wallpaper. Modern flat icons set of best friends, friendship culture, happiness. Unique color flat graphics elements stroke lines. Premium quality vector pictogram concept for web, logo, branding, infographics. Flat line icons set of video production, movie making process. Unique color flat design pictogram with outline elements. Premium quality vector graphics concept for web, logo, branding, infographics. Modern flat icons set of synergy mind, success business partnership. Unique color flat graphics elements stroke lines. Premium quality vector pictogram concept for web, logo, branding, infographics. Flat line icons set of agile development, quality control process. 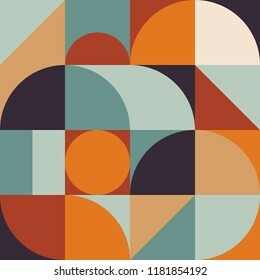 Unique color flat design pictogram, outline elements. Premium quality vector graphics concept for web, logo, branding, infographics. Simple line icons pack of designer tools, creative process. Vector pictogram set for mobile phone user interface design, UX infographics, web apps, business presentation. Sign and symbol collection. 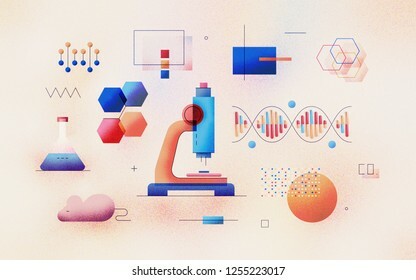 Genomic analysis of DNA sequence in laboratory. Bioinformatics research for biological information. Data science technology development. 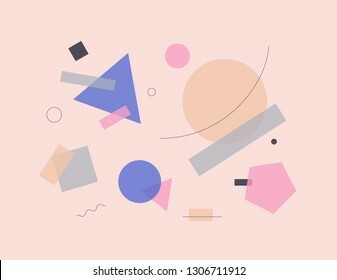 Modern flat design illustration concept on textured background. Modern flat icons set of business agreement and contract signing. Unique color flat graphics elements with stroke lines. Premium quality vector pictogram concept for web, logo, branding, infographics. Flat line icons set of profession avatars, human resource employee. Unique color flat design pictogram, outline elements. Premium quality vector graphics concept for web, logo, branding, infographics. Simple line icons pack of medical insurance, patient rehab. Vector pictogram set for mobile phone user interface design, UX infographics, web apps, business presentation. Sign and symbol collection. 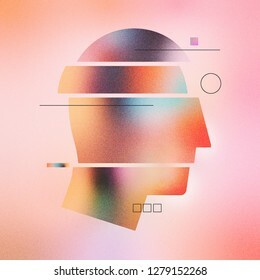 Digital illustration of abstract human head with sections and lines. Made with vector vibrant color gradient geometry form. Minimalist textured graphic artwork for wallpaper, web art and presentation. Modern flat icons set of agile development, project production process. Unique color flat graphics elements stroke line. Premium quality vector pictogram concept for web, logo, branding, infographics. Flat line icons set of city infrastructure and transportation. Unique color flat design pictogram with outline elements. Premium quality vector graphics concept for web, logo, branding, infographics. Modern flat icons set of renewable energy source, alternative energy. Unique color flat graphics elements stroke lines. Premium quality vector pictogram concept for web, logo, branding, infographics. Simple line icons pack of computer network server connection. Vector pictogram set for mobile phone user interface design, UX infographics, web apps, business presentation. Sign and symbol collection. Modern flat icons set of business development and work process. Unique color flat graphics elements with stroke lines. Premium quality vector pictogram concept for web, logo, branding, infographics. Modern flat icons set of business cooperation, competitive advantage. Unique color flat graphics elements stroke lines. Premium quality vector pictogram concept for web, logo, branding, infographics. Modern flat icons set of lean manufacturing, quality control process. Unique color flat graphics elements stroke lines. Premium quality vector pictogram concept for web, logo, branding, infographics. Modern flat icons set of healthcare service, doctor prescription. Unique color flat graphics elements with stroke lines. Premium quality vector pictogram concept for web, logo, branding, infographics. 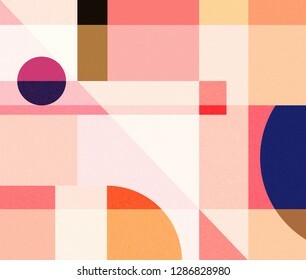 Abstract vector illustration composition artwork with simple geometric shapes and minimalist figures. 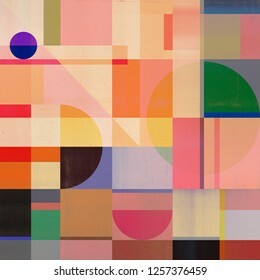 Bauhaus design style graphics for poster, cover, art, presentation, prints on fabric, wallpaper. Simple line icons pack of healthcare medical center elements. Vector pictogram set for mobile phone user interface design, UX infographics, web apps, business presentation. Sign and symbol collection. Modern flat icons set of visual data charts, visualization template. Unique color flat graphics elements stroke lines. Premium quality vector pictogram concept for web, logo, branding, infographics. Digital illustration of genetic engineering concept and gene editing. 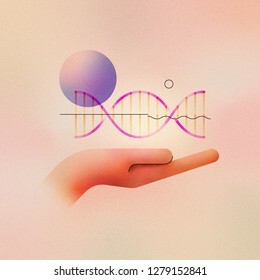 Human hand holding helix strand with abstract molecule. Made with vector vibrant color gradient geometry form. 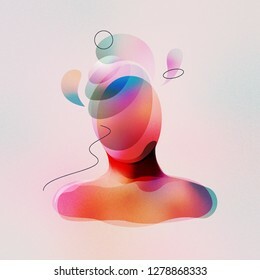 Digital illustration of surrealistic faceless man with spiritual thoughts. Made with vector vibrant color gradient geometry forms. Minimalist textured painting on mental, medical and artistic theme. Flat line icons set of proactive personality, productive workflow. Unique color flat design pictogram, outline elements. Premium quality vector graphics concept for web, logo, branding, infographics. Modern flat icons set of business leader skills, personal development. Unique color flat graphics elements stroke lines. Premium quality vector pictogram concept for web, logo, branding, infographics. Modern flat icons set of online course program, mobile video lecture. Unique color flat graphics elements stroke lines. Premium quality vector pictogram concept for web, logo, branding, infographics. Simple line icons pack of developer tools, web programming. Vector pictogram set for mobile phone user interface design, UX infographics, web apps, business presentation. Sign and symbol collection. Simple line icons pack of arrows and UI control elements. Vector pictogram set for mobile phone user interface design, UX infographics, web apps, business presentation. Sign and symbol collection. 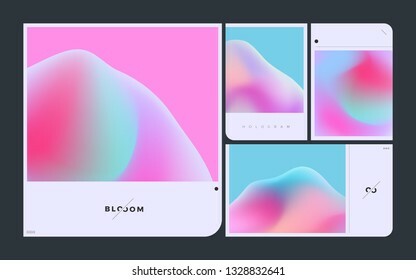 Minimal abstract vector of gradient mesh with holographic effect on mockup layout frame kit. Clean concept artwork of vibrant color brand identity template pack. Neon violet pattern shapes texture. Modern flat icons set of global pollution, green nature conservation. Unique color flat graphics elements stroke lines. Premium quality vector pictogram concept for web, logo, branding, infographics. Modern flat icons set of computer upgrade service, installation tools. Unique color flat graphics elements stroke lines. Premium quality vector pictogram concept for web, logo, branding, infographics. Modern flat icons set of digital marketing strategy, online business. Unique color flat graphics elements stroke lines. Premium quality vector pictogram concept for web, logo, branding, infographics. Modern flat icons set of playing soccer, professional football game. Unique color flat graphics elements stroke lines. Premium quality vector pictogram concept for web, logo, branding, infographics. Modern flat icons set of blockchain technology, crypto currency flow. Unique color flat graphics elements stroke lines. Premium quality vector pictogram concept for web, logo, branding, infographics. Modern flat icons set of trademark registration, open content policy. Unique color flat graphics elements stroke lines. Premium quality vector pictogram concept for web, logo, branding, infographics. Modern flat icons set of invention patent law, court of justice. Unique color flat graphics elements with stroke lines. Premium quality vector pictogram concept for web, logo, branding, infographics. Modern flat icons set of ambulance helicopter, medical center service. Unique color flat graphics elements stroke lines. Premium quality vector pictogram concept for web, logo, branding, infographics. Modern flat icons set of heavy machines, construction transport. Unique color flat graphics elements with stroke lines. Premium quality vector pictogram concept for web, logo, branding, infographics. Simple line icons pack of smartphone user interface control. Vector pictogram set for mobile phone user interface design, UX infographics, web apps, business presentation. Sign and symbol collection. Modern flat icons set of weight lifting, sports nutrition container. Unique color flat graphics elements stroke lines. Premium quality vector pictogram concept for web, logo, branding, infographics. Modern flat icons set of stock market data, trading securities. Unique color flat graphics elements with stroke lines. Premium quality vector pictogram concept for web, logo, branding, infographics. 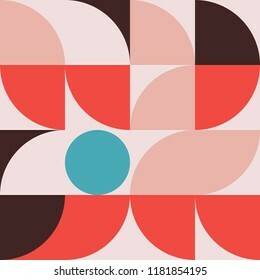 Swiss design artwork poster with simple shapes and figures. 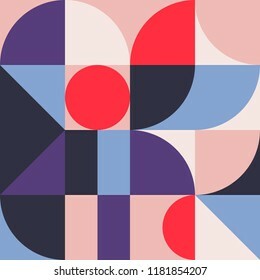 Geometry minimalistic abstract pattern graphics in Scandinavian style for branding, art presentation, fashion, prints on fabric, wallpaper. Modern flat icons set of mental process, human mind workflow. Unique color flat graphics elements with stroke lines. Premium quality vector pictogram concept for web, logo, branding, infographics. Simple line icons pack of human resource, company management. Vector pictogram set for mobile phone user interface design, UX infographics, web apps, business presentation. Sign and symbol collection.